This purchase will pay 157 fishcoins now! McRubber Shad is just what it sounds like, a smaller "shadversion" of the original McRubber. 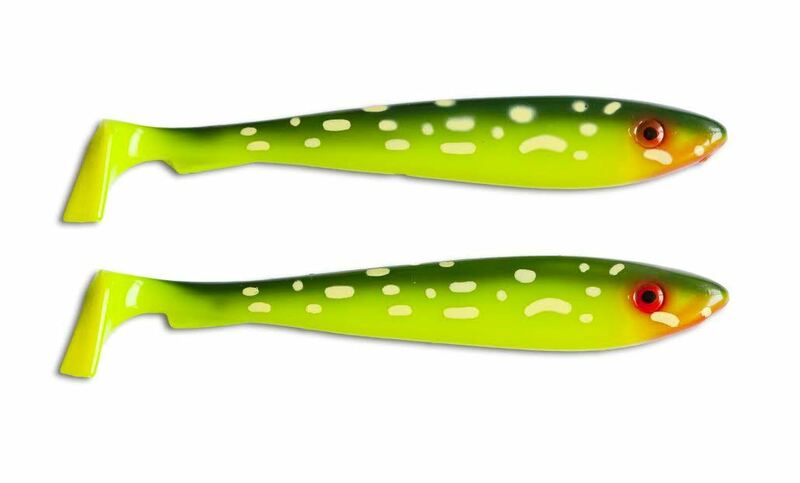 Thanks to its thinner body, the lure still maintains a profile as big as the original but weighs less which makes it more easy to cast and sink faster. We recommend that you use Svartzonker Stinger Tackle M on the McRubber Shad 23 cm for good hookups. This combo is great for shallow fishing. If you want to fish it in deeper water you can use Svartzonker Screw-In-Dots to make it fish at the desired depth. You can also rig it on a BFT Flexhead Pike. 23 cm, 115 g. Comes in 2-pack.